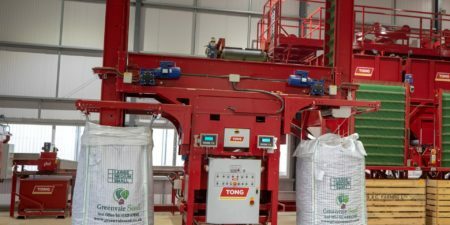 An advanced seed potato grading and optical sorting line installation by Tong Engineering at B&C Farming Ltd in the UK. 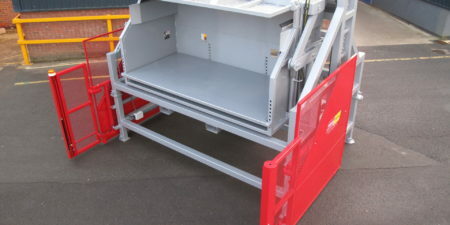 Featuring a Tong side-eject box tipper at the infeed of the line for continuous feed of crop with minimal forklift requirements, this seed potato grading line ensures gentle handling of crop at high throughputs. 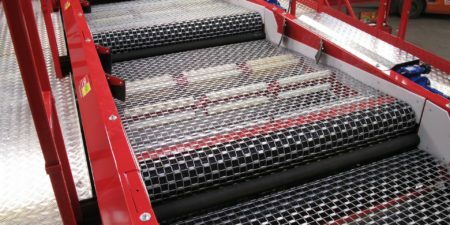 Custom-designed to customer specification, this potato grading line incorporates a Tomra FPS optical sorting machine specifically designed to effectively remove clod, stones and foreign material from unwashed crop. Crop is size graded before passing on to a series of bunkers filling Tong vertical lowerating box fillers for gentle box filling. 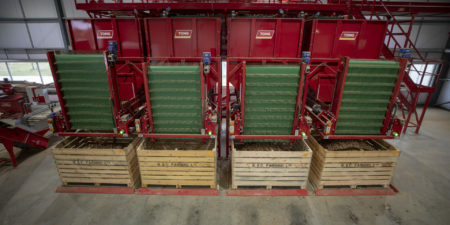 A second potato handling line effectively receives crop in boxes and transfers to Tong’s versatile UniFill Big Bag and Box filling machine, which gently fills big bags. The machine can also be automatically programmed to fill boxes as required. Another advanced potato grading line from Tong’s complete solution to you potato and vegetable handling requirements. Designed with you in mind. For more details on Tong grading equipment click here.